When sitting down to order sushi, be it at the counter, the table, or from your couch (no judgements! ), the inevitable question of “What do I drink with it?” comes up. There are the usual suspects, such as tea, inexpensive plum wine, sake, or even beer. But there is another libation that can increase your sushi experience exponentially: wine. 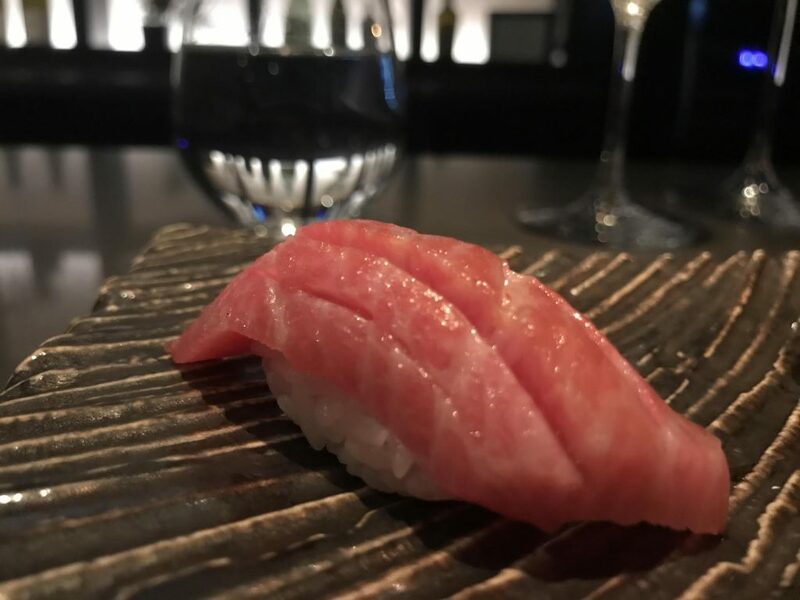 Often overlooked as a proper sushi pairing, wine can reflect the crystalline transparency of fish and take you on a flavor trip other drinks cannot. Sushi is about elegance and purity; the wine you pair with it should be, too. The varied palate of sushi encompasses a wide variety of fish flavors within . Fluke is lighter and brighter; salmon roe is briney; cooked eel displays sweetness. If you’re having nori in your maki or temaki, it will add deep smoky tones. Sushi rice will add a back palate zing from a bit of rice vinegar. Textures can be considered when pairing, too: tuna and salmon are smooth and fleshy while squid and shrimp are crisp. What sets wine apart from traditional sushi pairings is its acidity, which helps fuse the coupling between fish and grape. Because of the myriad styles of wine — dry vs. off-dry, light body vs. full body, sparkling vs. still — there are infinite pairing possibilities. To keep things straightforward, I’m going to break down sushi and wine pairing into two easy-to-follow principles that will make selecting wine for sushi painless…and with a delicious outcome to boot. When I approach this pairing principle, I largely aim to match up the body of the food with the body of the wine. I pay attention to the cooking method, or lack thereof, because this defines how the food is going to feel, or weigh, on the palate. Raw foods and poaching or steaming cooking methods result in a lighter palate weight. Grilling and searing methods result in a richer, fuller palate experience thanks to the Maillard reaction. (The Maillard reaction is a chemical and physical process which occurs when proteins and sugars in and on food are transformed by heat, producing new flavors, aromas, and colors.The Maillard reaction is responsible for the char on your steak and the toasty, malty flavors on crusty bread). Take note of the cooking method of your dish, size up what you think its mouthfeel will be, then select a wine that is going to be about the same weight and texture as your food. If you’re unsure, talk to your sommelier or a trusted retailer. They’ll know their wines inside out (pun intended). Lighter cooking method foods, such as raw amberjack or steamed vegetable shumai, do well with lighter bodied wines. My palate immediately craves bright, mineral-driven white wines whose weights are buoyant with fresh, zippy acidity when I’m anticipating these supple, near-weightless foods. 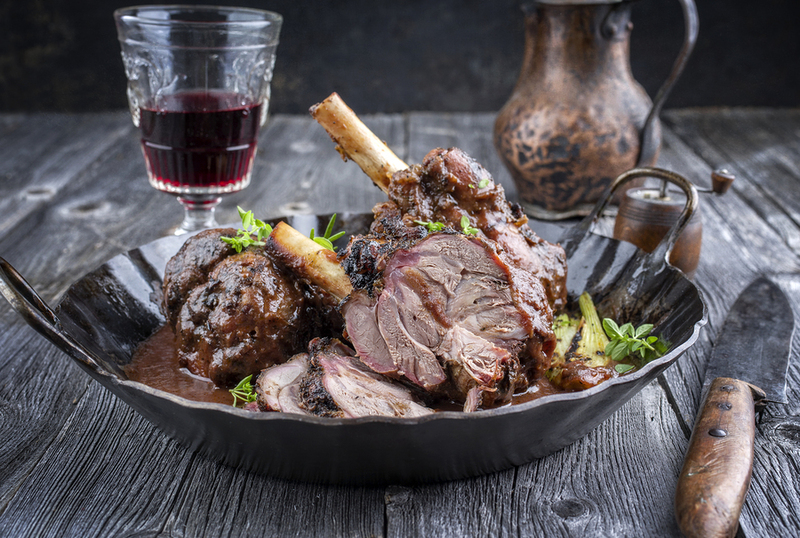 Wines that fit this fighting weight include Muscadet, Albariño and Chablis. The ones I reach for are Domaine de la Pépière Muscadet or Christian Moreau Chablis, and an Albariño favorite is Benito Santos from Rias Baixas, Spain. These are dependable, unfussy, pure wines that deliver every.single.time. Furthermore, each of these wines drives home a saline sensibility that marries the oceanic flavors of the wine and the fish. Think about it: these wines come from places that are either close to the water or have soil with ancient oceanic deposits. All showcase a sea spray, marine quality that checks off “like with like” boxes in both the flavor and weight departments to deliver a seamless, harmonious pairing. On the other side of the cooking method spectrum, grilled and seared items offer an opposite flavor profile. The crispy, slightly sweet bits of anago or the deep, caramel-like notes from a sizzling-hot sear on otoro fill your mouth with rich and complex flavors that would overpower a light and fresh wine. Here you need a wine that has a fuller body and one that can stand up to those bolder, bigger “like with like” flavors. A well-made California zinfandel, with its medium/full-ish weight and sweet spice and fruit, is an ideal link with the browned, charred flavors of perfectly seared protein. The Lytton Springs bottling from Ridge is especially dynamite with seared tuna — so much so, you’ll wonder where this wine has been all your life. Before you know it a second bottle will be on the table and another round of fish will be on its way. So what happens if you don’t follow this pairing principle? No matter what the cuisine, consider this: if you order a wine that’s too light for bigger foods, the wine will feel nonexistent. Conversely, heavier wines can overwhelm light or raw foods. If either of these routes is taken, you might even go so far as to turn against the one on which you blame your palate’s displeasure — “Gah, that Vinho Verde really didn’t stand up my seared Rib Eye…never ordering that wine again,” or “Geez, those Kumamoto oysters were horrible with my Napa Cab…guess I don’t like oysters the way I thought I did.” Flag on the play! 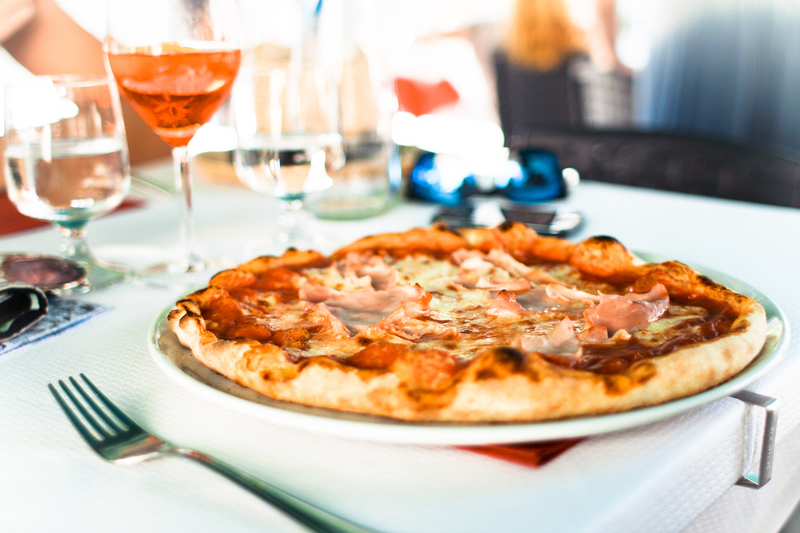 Pay attention to the food you’re ordering and match up a wine whose weight and body is similar and you won’t go wrong. Yin and Yang are complementary, rather than opposing, forces. The philosophy demonstrates the idea of balance which you find in Asian culture and certainly in their cuisines. Because Asian cuisine – especially Japanese cuisine – follows this idea of balance, it can be a challenge at times to find the right wine. After all, isn’t the food balanced already? Yes, it is, and when you’re selecting wine with the “opposites attract” principle in mind you’ll want to pick out a flavor or texture (or both!) in the dish and pivot to the flip side with your wine. 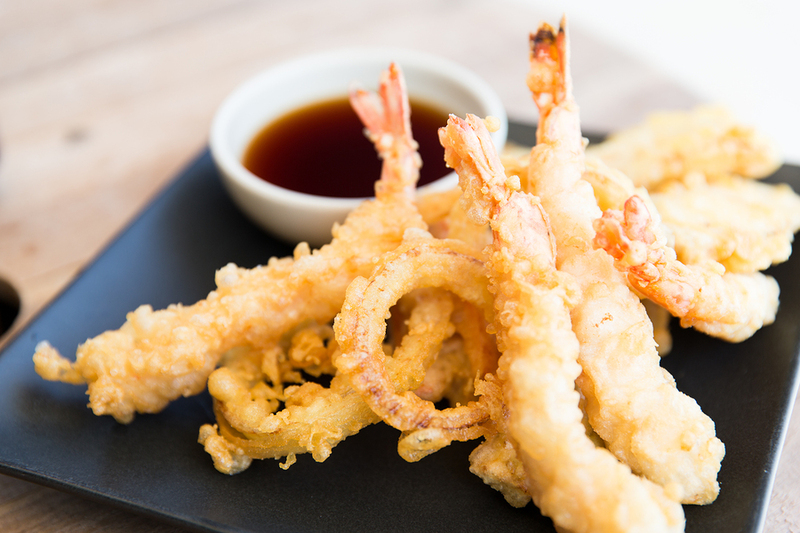 In the United States, a ubiquitous starter in Japanese restaurants is shrimp tempura, which has a feather-light, crunchy batter surrounding shrimp so plump and fresh it snaps, dipped into the obligatory kiddie pool of a savory soy-based sauce. To break this down, we’ve got crunchy texture, an ocean-like flavor from the shrimp, and a direct hit of nutty-saltiness from the sauce. My favorite pairing here is bubbles, and here’s why: the carbonation in sparkling wine acts almost like scrubbing bubbles on your palate, cleansing it of the sumptuous texture deposited by the fried batter while the acidity in the wine invigorates your salivary glands causing you to salivate. That acidity, or salivating, restores and refreshes so that luxurious texture doesn’t make your palate feel heavy after several bites. One of my favorite bottle of bubbles with tempura is François Pinon Sparkling Vouvray Brut. 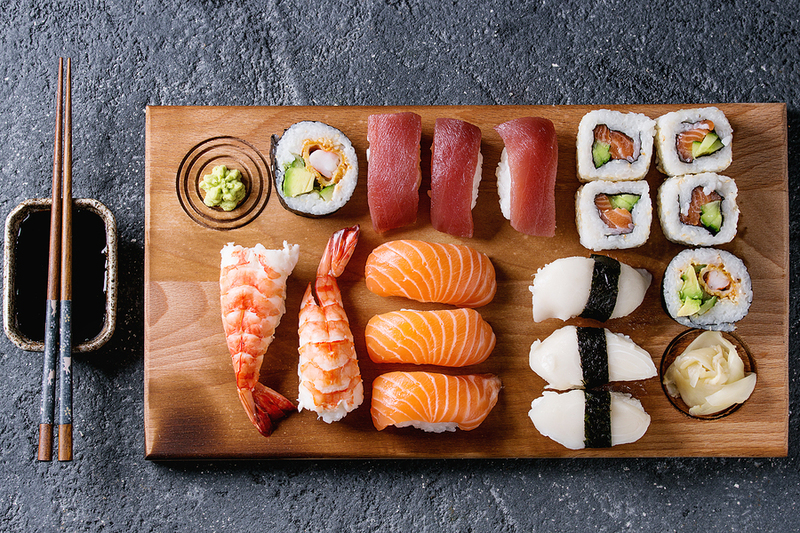 Made from chenin blanc, Vouvray is a wonderful pair for sushi generally not only for its bright acidity but its ability to draw out those oceanic flavors in seafood. The Pinon is well priced for everyday drinking, but if you’re in the mood to splurge I recommend a true Champagne with tempura, or anything fried for that matter. Seek out a Blanc de Blancs (made only from white grapes) or a Brut Rosé. The velvety, frothy mousse of Champagne takes a fried food pairing into opposing-texture overdrive, and that beautiful razor’s edge of mouthwatering acidity will have your lips smacking and your palate craving more wine AND fried deliciousness. A few of my favorite go-to Champagnes include Pierre Moncuit Blanc de Blancs Extra Brut Grand Cru and Bollinger Brut Rosé, both non-vintage. And if I’m being honest, I recommend sticking with Champagne throughout the entire meal because I believe Champagne to be one of the best food wines on the planet. 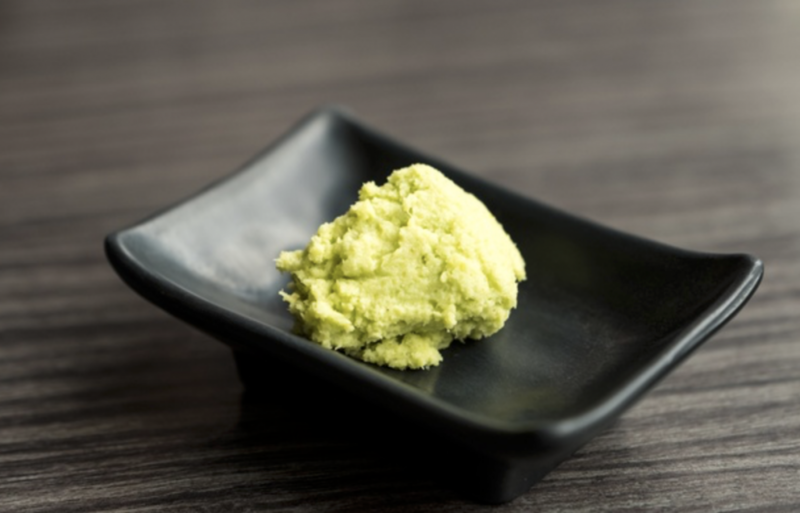 Let’s look at another “opposites attract” example: the spicy kick from daikon, wasabi, or ginger. Pivoting from the heat it’s the off-dry wines that will pair best. I suggest – yes, I’m going to say it – riesling. I realize a lot of people don’t like riesling. “It’s too sweet!” they say, usually accompanied by sour faces. I’m here to tell you you WANT your riesling to have a kiss of sugar when you’re eating foods with a spicy kick. Before I go further, let me ask a question. Is spicy BBQ sauce just a mouthful of cayenne and red pepper flakes? No, it has honey and brown sugar in it to balance the fiery spice. Now let’s revisit that riesling option. 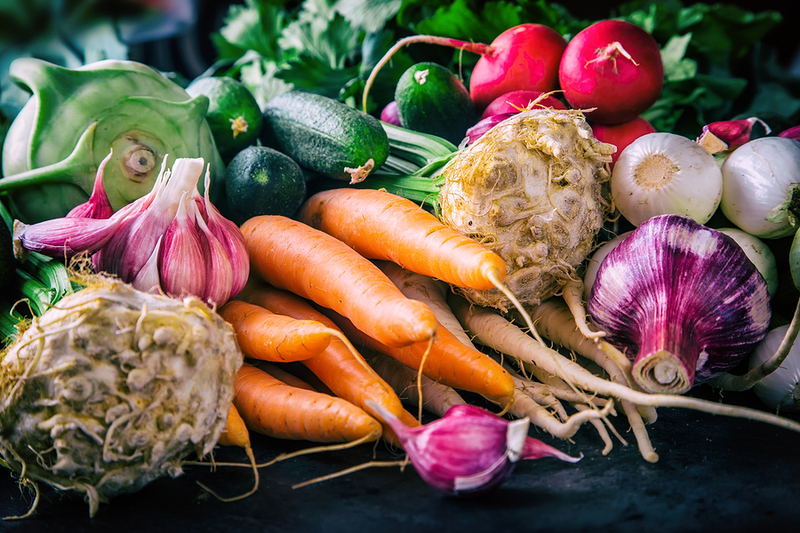 Picking one with a lil’ bit of sugar will not only offer your palate relief from the heat of the ginger or wasabi, but the general balance between food and wine will be enhanced, too. A wine’s residual sugar brings forward the natural sugars in food making the perceived sweetness in the pairing come from both the food and the wine, not just from the wine. A wine’s residual sugar also might be low enough that your palate registers it more as “fruity” rather than “sweet.” Riesling does its job of balancing heat in a dish and allowing your palate to perceive the heat as less intense. Two classic and reliable riesling selections are Schloss Lieser Riesling Estate Feinherb and Heymann-Löwenstein ‘Scheiferterrassen’ Riesling Kabinett. You’ll find both on wine lists of notable sushi restaurants. Riesling inherently has mouthwatering acidity, and its purity of fruit flavors – the best tasting ones are sweet like an apple, simultaneously sweet and tart – make it an excellent foil to the various sushi flavors and oily, rich textures, not just the heat. While wine isn’t typically seen on beverage lists of traditional sushi restaurants, it shouldn’t be discounted as a truly great pairing. Sure, a citrusy beer can be an easy and enjoyable choice and sake can show earthy and fruity notes that underscore the saline flavors of clean, unadulterated fish, but sometimes I find that the higher alcohol of sake and bitterness of beer can get in the way of the precision I seek out with sushi. 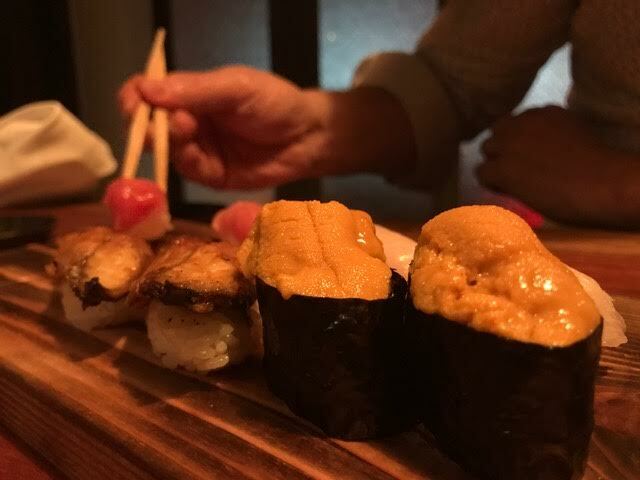 When it comes down to a food style as meticulous and clean as sushi, choosing wine that follows suit and you’ll find your tasting experience is enhanced, your palate cleansed, and your flavor horizons broadened. Sarah holds an undergraduate degree in History from the University of Colorado at Boulder and a Baking and Pastry certificate from The Culinary Institute of America. She is a Master Sommelier candidate, a Certified Wine Educator, and she passed the WSET Advanced with Merit. 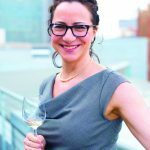 She teaches wine and wine pairing classes at Astor Center and Murray’s Cheese in New York City, and whenever possible she collects and drinks Champagne, Barolo and German Riesling. Follow her on Instagram @loopersomm for nerdy food and beverage pics.